Jim has told me before that he’s interested in disaster… and he still is. Kim: Jim, where do you see opportunity and good value today? Not tomorrow. But unless Mr. Trump messes it up, and he might, that problem is being solved as we speak for many reasons. [North Korea’s leader and Trump are due to meet in a few weeks.] But that would certainly prevent American taxpayers from spending a lot of money… Korean taxpayers… it’d prevent everybody from spending a lot of money. So let’s hope it happens. I would be terrific. It would be a great opportunity for investors. In the North they need everything, they have nothing. Virtually nothing. So it would be a great opportunity for all of us. You’re probably going to say to me, “What would you buy?” And there’s nothing to buy in North Korea, there’s nothing public I own. North Korean coins. I own Korean Air Lines (Korea Exchange; ticker: 003490) because I assume there’ll be a lot more air traffic. I own a South Korean ETF. [The iShares MSCI South Korea ETF (NYSE; ticker: EWY) is one ETF you can own.] But other than that, I don’t really know a way to invest. Also, Russia is still hated by most investors, which is terrific, it means it’s still cheap. I am looking for Russian investments. I’ve bought more Russian government bonds recently in rubles because they have a very high yield and I’m optimistic about the ruble – certainly that the ruble is making a bottom, if it has not made its bottom already. Vietnam is doing very well right now. I prefer the bad things that are hated. But there are big changes in the country, and it’s right on the Chinese border. It’s a country of 90 million people, educated, disciplined, hardworking. They call themselves communist, but take that with a grain of salt. I’ve mentioned Nigeria and Kazakhstan before. China. I’m looking for investments in China. China is 40 percent below its all-time high. Japan is 50 percent below its all-time high. I’d much prefer China and Japan to, say, America and Germany. You know, these are markets that are near all-time highs. And I know that watching you guys, you know to buy low and sell high. Jim mentioned Japan. So I asked him… when we look at debt profiles and countries most likely to blow up from debt, wouldn’t Japan be at the top of that list? Jim: Absolutely. Japan has staggering internal debts. They have a lot of external reserves, foreign-currency reserves, but they have huge debt and they keep running up debt after debt after debt. I can give you scenarios where there isn’t a Japan in 50 years. I mean, they have a declining population. Their debt is going through the roof. It’s a fantastic country, but it’s in serious, serious decline. But that doesn’t mean that the stock market cannot go up for a few months, or a year, or two. So I’d rather buy Japan than many other countries. Kim: It sounds like you’re talking about the disconnect between the fundamentals of a market or an economy, and the direction or trajectory of its stock market. Jim: There’s a difference in a short term and a long term. I know Japan is going to disappear, but there’s still time to make some money if the world doesn’t fall apart in the next three or 10 months. Last week's St. Petersburg International Economic Forum (SPIEF), held annually in Russia's second largest city, saw a record number of 550 agreements signed worth more than $38 billion, according to a Russian presidential adviser. Sputnik spoke to veteran US investor and financial commentator Jim Rogers who was at the forum. Sputnik: We're seeing new developments with US-North Korea relations, we see announcements from politicians, for you as a businessman, what kind of impact does it have? In one of your interviews you've mentioned that you want to do business with North Korea, just how possible is that? Jim Rogers: I'd like to invest in North Korea but it's impossible for Americans or virtually impossible for Americans, this just means great opportunities are being seized by Russians, Chinese and other people who can do business in North Korea. Sputnik: What kind of business is it? Jim Rogers: Everything you can imagine. They need tablecloths, soap, electricity, they need everything, anything you can do you can make a fortune in North Korea. Sputnik: There's a big US delegation at the St. Petersburg Economic Forum and the organizers are telling us that, unlike previous US administrations, this time US officials are actually encouraging US CEOs to take part in the event. Does that mean that we're going to see some changes in US-Russia relations, both business and political? 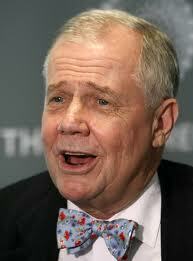 Jim Rogers: I hope so, I hope in every way relations get better with Russia and the US. This is madness, a madness that Russia and the US aren't friends, they should be, and should be working together. Sputnik: What are the key global trends that we see in the markets right now? What are the big things to look out for? 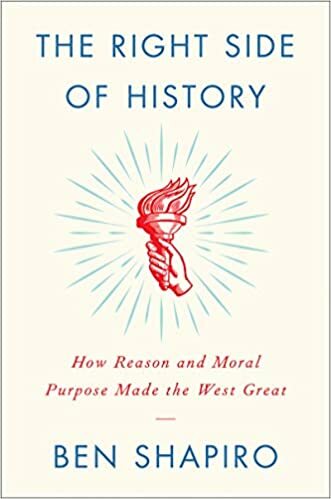 Jim Rogers: Well, unfortunately, I'm an American citizen and I see that America is pushing China and Russia together, America's pushing China and Iran together, pushing China, Iran, Russia altogether and that's pushing America out of some very major countries in the world. I don't particularly like that because I'm an American and I want to travel, and invest, and play everywhere, and it is getting more and more difficult for Americans. Renowned investor Jim Rogers on Monday told FOX Business, the American government is stopping him from investing in North Korea. Rogers said he’s been to North Korea twice, seeking investments but the U.S. government is holding him back. Rogers added President Trump puts denuclearization negotiations at risk. 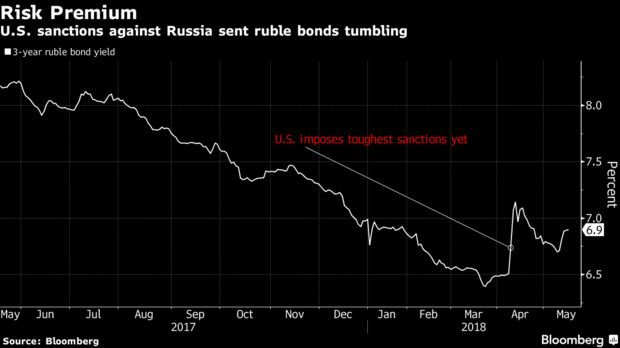 After getting burned in the worst month for Russian bonds in more than a year, Jim Rogers says the toughest wave of U.S. sanctions yet doesn’t spook him. The 75-year-old chairman of Rogers Holdings Inc. has been using the sell-off that followed the April 6 penalties to buy more short-term ruble debt. He recommends focusing on Russia’s fundamentals and the highest prices since 2014 for crude oil, the nation’s key export earner. Back in late March, the veteran investor told Bloomberg he was buying local debt to bet on a stable currency, high real rates, and the country’s recent return to investment-grade status. Two weeks later, and the sanctions announcement had sent the ruble into a tailspin. The currency is down 6.4 percent since then, while Brent has rallied almost 20 percent. Three-year local bond yields have jumped almost 40 basis points. He’s not alone in that view. The government’s current-account surplus “provides a sufficient cushion to absorb the impact of sanctions,” they wrote in an e-mailed note on Friday. Diversification is generally considered one of the basic tenets of investing and financial planning. Owning a mix of assets, ideally with a low correlation - including, stocks, bonds, real estate and gold, for example - is Investing 101. "Well, I know that people are taught to diversify. 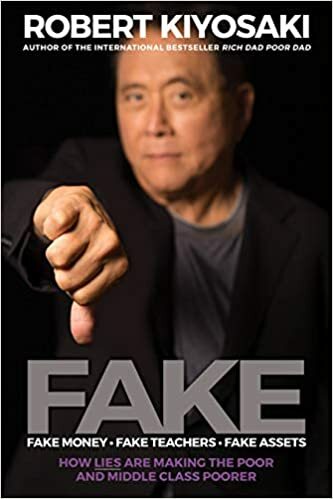 But diversification is just that's something that brokers came up with, so they don't get sued," Jim told me recently when I sat down to chat with him here in Singapore. Then he added, "If you want to get rich… You have to concentrate and focus." This obviously goes against conventional thinking. But this kind of thinking is what made Jim one of the world's most successful investors. He co-founded the Quantum Fund - one of the world's most successful hedge funds - which saw returns of 4,200 percent in ten years. He quit full-time investing in 1980 and went on to travel the world a few times. He also wrote several books about what he saw and learned. 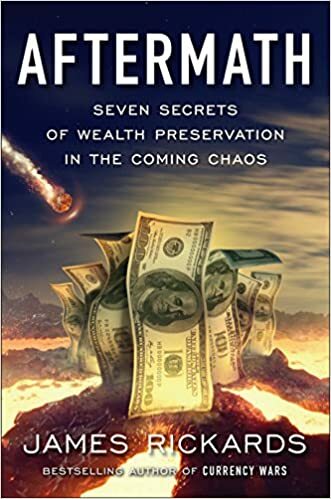 Even if you're not a travel or money junkie and know little about finance, these are some of the most educational and entertaining books you'll ever read about investing. I've also written about the importance of diversification to reduce risk in your portfolio. As the saying goes, don't put all your eggs in one basket. But you also need to make sure they're not all on the same egg truck, either. Diversification can limit the risks that are specific to a company or industry. For example, bad (or fraudulent) company management is a firm-specific risk. An airline employee strike, which has an industry-wide impact, is an industry risk. These are called "diversifiable risks" because they aren't directly related to the broad financial market system. Market risk (also called "systematic risk" because it relates to the financial system as a whole) is unavoidable for anyone investing in financial markets. Market risk is affected by things like interest rates, exchange rates and recessions. Diversification can't touch market risk. The graph below shows these two types of risk. Every investor is subject to systematic risk. Diversifiable risk is higher if a portfolio includes a small number of holdings. And diversifiable risk declines as the number of holdings in a portfolio increases - to a certain point. Having a portfolio with five securities definitely beats a portfolio of just one security. But diversifying beyond 30 securities doesn't bring any additional benefits in reducing overall portfolio risk. The world will be closely watching as a historic summit between US President Donald Trump and North Korean leader Kim Jong-un takes place on Tuesday 12 June in Singapore, to discuss nuclear disarmament. North Korea has already taken steps to denuclearize by ending nuclear and long-range missile tests, and the question is whether the meeting will lead to further dismantling. Jim Rogers, legendary investor and chairman of Rogers Holdings, spoke to IG ahead of the summit and said he is ‘very, very keen to invest in North Korea,’ adding that ‘there will be great fortunes made in North Korea once this opens up’. Rogers clarifies that he is unable to invest in North Korea at the moment but said he thinks North Korea today is where China was in 1981. Roger’s view on the economy is that the next recession could potentially start in ‘the next year or so’, and argues that ‘it may have already started’, citing woes in Argentina and the Indian banking sector. On the equity market, Rogers said he is the ‘world’s worst’ at short-term predictions. However, he said he is optimistic on certain stocks, including shares in China, Russia and Japan. When it comes to the US market, Rogers said he doesn’t ‘particularly like buying things at all-time highs’ adding that he prefers to ‘buy low and sell high’. Jim Rogers has reportedly bought rouble bonds following the imposition of Russian sanctions this year, betting that they won’t weigh on the country. Rogers tells IGTV that he does not believe in the effectiveness of sanctions, particularly in the long term. He said ‘Russia is hated, the markets are down, the Russians have very little debt, huge natural resources, they are opening up more and more’. Kim: You’ve often talked about the explosion of debt in markets. Can you tell me some more of your thoughts on that? Jim: Well, Kim, as you know, debt worldwide has boomed in the past 30 years, but especially in the past 10 years. In 2008, the world had a big problem because of too much debt. Since 2008, the debt has skyrocketed everywhere. And so the next time we have a problem, it’s going to be a doozy. I mean, the Federal Reserve alone in Washington, its balance sheet is up by 500 percent in 10 years. It’s staggering what’s been going on in the world. No matter where you look. In 2008, China had a lot of money stored for a rainy day. It started raining, China started spending the money and helped rescue the world. But even China has a lot of debt now. You’re going to see bankruptcies in China the next time the world comes to an end. And that’s going to surprise a lot of people… it’s going to surprise me, and I know it’s coming. I’m telling you, it’s coming. But it’s going to surprise a lot of us, and that’s just going to make the bear market even worse. Kim: What are your thoughts about the U.S.-China trade war? Jim: Mr. Trump for many years has been keen on trade wars, so it seems to be in his soul, in his psyche. He said that trade wars are easy and are good. That’s totally inaccurate. But it doesn’t matter, he’s the president and even if he has wrong information, which most politicians do, he will do what he can get away with. And so he wants trade wars, the people around him that he keeps bringing in, they’re all keen on trade wars. Nobody has ever won a trade war, but they don’t know that. And if they know that, Mr. Trump thinks he’s smarter than history, he can control history. I don’t think he is, but we’ll find out. If it happens, then when the problems start coming, it’s going to be worse than any of us can imagine. It’s not going to be good. You’ve seen previous trade wars, nobody has ever won. They’ve never helped anybody. Maybe some in the short term. But even when trade wars help some people, they hurt other people even in the same country. So they may happen. If they happen, you’re going to have a lot of readers because everybody’s got to know what to do. You have job security because somebody has to report it and somebody has to tell us what to do.